Home » Why Buy Michelin®? No one makes tires like Michelin®. That's because Michelin recognizes that you need it all from your tires safety, a comfortable ride, fuel efficiency, grip and control, toughness, and more. Safe, everyday driving demands it. Many of those performances naturally compete, and increasing one tends to decrease another. That's not acceptable to Michelin®. It's why we put more science into our tires, minimizing the trade-offs and maximizing performance. So you can get the signature performance you want most without giving up the others in the process. 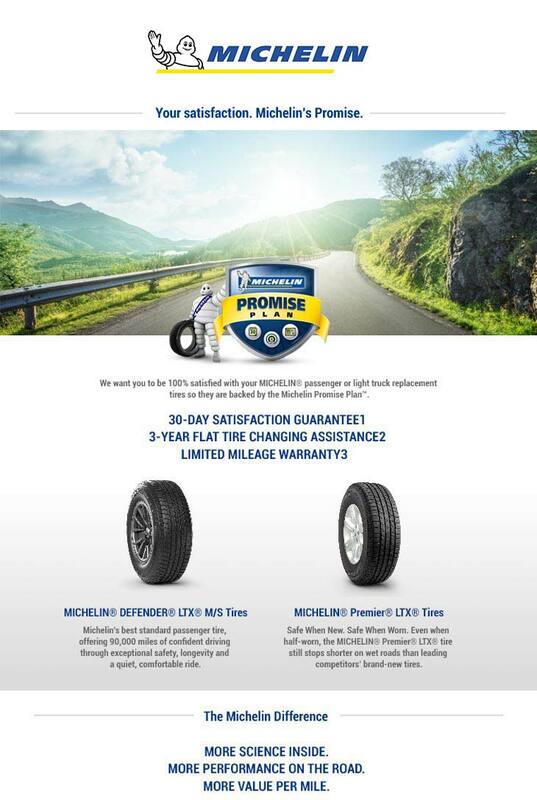 That's MICHELIN® Total Performance™. And it's why you'll see the same technology that helps us win the most grueling endurance races make its way into our street tires.